So I've recently became a donator and so far I'm enjoying it. But the one thing I'm wondering about is the Duo/Trio hale/bosses. Are they broken? Removed from donator privileges (witch would be a bummer) or are their requirements to play as them (I was told that they would become available with 20 or more Red Team players for a balance but that didn't seem to work). Rainy Said to me, it was a limitation of Players on the Servers, We need atleast 20 Players to be able to play Duo/Trio hale as Donator. it's because of Unfair fight and balance when there is like 5 players. 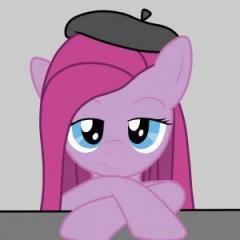 Typing !boss Octavia or !boss Apple Bloom ect. when there are more than 20 players result in chat saying "Octavia is not available to you". Maybe I'm not doing something right.